His chant soon became Lord Ram’s Name. But by the time he could master his worship, he was buried deep in anthills. 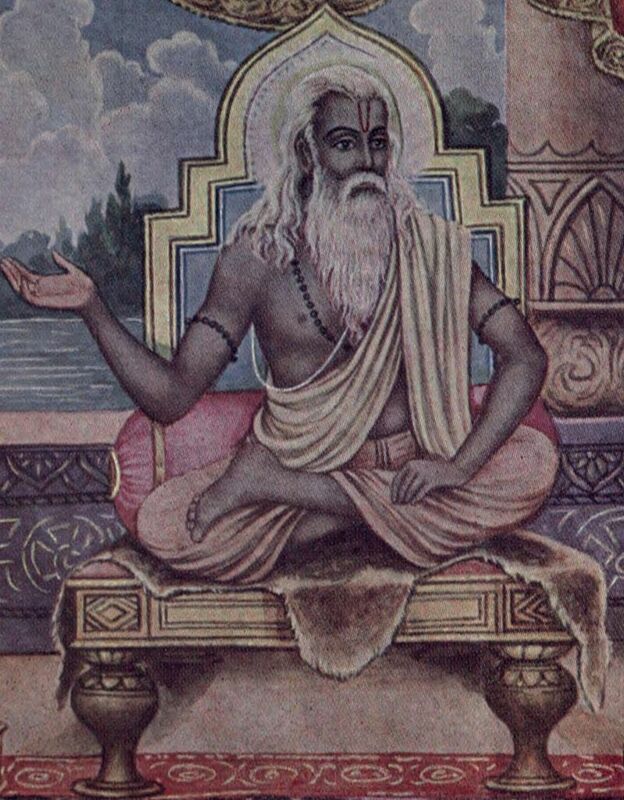 When he reached the divine stage, the holy voice from heaven told him to rise and gave him a new name: Valmiki (means Ant-hill in Sanskrit). This robber turned into the biggest saint of all times. It is said that when Lord Rama returned to Ayodhya, he had to disown his pregnant wife. His wife, Sita, took shelter at Sage Valmiki’s ashram. Rishi Valmiki also wrote the famous epic Ramayana and taught it to Sita’s children, Luv and Kush, which they recited in Ram’s court. That’s how their father Ram recognized them and momentarily reunited with his wife Sita. Since then, hundreds of versions of Ramayan have been written. While most are mere translations, some were written from scratch, according to regional beliefs. The biggest challenge has been that the original Ramayana story was told to Valmiki by Narad and then passed to Luv and Kush. The original text was lost long back but it did travel orally to different regions and cultures. Saints and Poets from all across tried to interpret the epic in their local language. During this interpretation and translation from oral traditions, many aspects of the story were changed. However, one common and most important thing remains constant in all versions: Ramayana is actually a compilation of teaching of ancient Hindu sages. It presents these teachings in a nice narrative, where each character, starting from Lord Rama to Ravana and Sugreev are fundamental to cultural consciousness of the region, where Hinduism was prevailing. Most importantly, Ramayana is not restricted to Hinduism. Muslims of South India incorporated the message of Ramayana in their poems and the work is called Mappillapattu or Muslim Ramayana. Jains have their own version of Ramayana, where Lakshmana kills Ravana instead of Rama, for which he is pushed to hell along with Ravana. Rama is characterized an upright person who at the end sacrifices his kingdom, becomes a Jain monk and attains Moksha. They also believe that Ravana will one day be born as a Jain Tirthankara. The Buddhist version is much different from others. Here, King Dashrath was ruling Banaras (Varanasi) and not Ayodhya. He gave birth to Ram, Laxman, and Sita through his first wife. To save these siblings from his second wife, he sent the trio to Himalayas. 12 year later they come and now Ram and Sita became consorts and ruled the kingdom. Interestingly, abduction of Sita has no mention in this version. ‘Ram gayo, raavan gayo, jaako bahu parivaar, Kahu nanak thir kichh nahi, supne jiyo sansaar’. Means, both Ram and Ravan, who had such big family left this mortal world. Nanak says, nothing is stable. This world is like a dream. 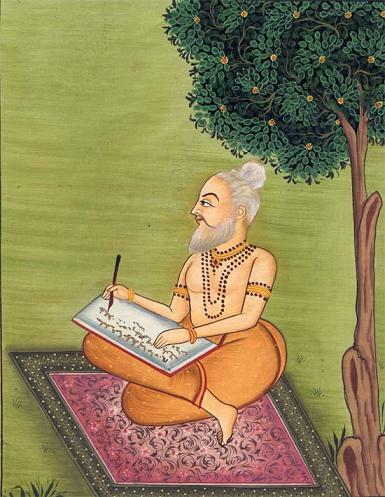 Interestingly, while over 300 versions of Ramayana exist, Maharishi Valmiki is said to have written two versions himself. The other version is called ‘Adbhut Ramayana’, where after killing 10-headed demon Ravana, Lord Rama travels to Pushkar to kill his elder brother, the 1000-headed Ravana. Later in this narration, Sita transforms into Goddess Mahakali or Shakti. The best part is that even Lord Ram prays to Goddess Shakti with 1008 divine names, which glory the virtues and attributes of the Goddess. Rishi Ved Vyasa also authored a version of Ramayana, where an entire episode of maid Mantara provoking Queen Kaikayi to send Ram to exile was not an act of cruelty. Goddess Saraswati came as Mantara to play her part in the larger drama of destiny. Ram was born to remove the evils of Ravana, hence Saraswati helped the situation. Since Ram knew of the abduction of Sita, he ensured that Sita had her illusion born of fire in place. Here, all characters and their acts are portrayed as spiritual messages. In Sri Lanka, the version of Ramayana depicts Ravana as Hero. Malaysian version places Dashratha as the grandson of prophet Adam and Ravana receives boons from Allah. Also, Laxman is a hero instead of Ram. In Thai version, Sita is the daughter of Ravana and Mandodry, while Hanuman is the main hero, instead of Ram or Laxman. Despite all these variations, the core message of humanity and spirituality remains same.